As stated by James LeMay-the director of Daigle and Associates with an accounting firm in Boston,” This helps you to be honest about what is coming so you can plan for it beforehand”. Budgeting plays a significant role while planning the transactions which are most likely going to take place in an enterprise in order to plan about the expenses of the company in a systematic manner. However, the technique is beneficial as it allows the allotment of resources while keeping the budget in mind as well as the estimated expenses. 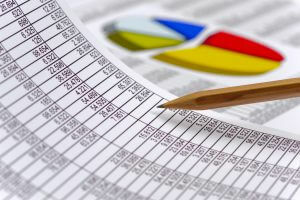 The technique can be applied through various accounting softwares which can be easily downloaded through online accounting websites present such as GnuCash or QuickBooks. These softwares help accountants in recording all transactions easily. Keep in mind that wrong entries can lead to incorrect results ultimately affecting the whole scenario of accounts in a business. This allows the keeping of accurate records of a business to avoid any inaccuracy in budgeting performed. Optimal budgeting and proper allocation of all resources and funds available in a particular business ensures the well-being of a work place so that management can say that their resources are being used for the proper welfare of their own business. Moreover, budgeting helps in reviewing a business’ profits where it can be explored through the resources left out of the ones allotted for the running of a business. These resources usually come from the profits earned by a business association. A certain amount of budget available can be appointed for the employees with high productivity. This drives them to accomplish a company’s targets on time. A highly qualified and experienced team of accountants must be appointed to perform budgeting tasks in order to enhance the effective working of a business corporation. It’s employees must be treated with great care in terms of high bonuses for those that have proven their work. With the advancement of technology since the industrial revolution, people have moved towards the making of tools as well as softwares in order to make their lives easier in all perspectives. The field of Accounting & Finance has also progressed in an optimistic manner in order to make businesses run smoothly as well as efficiently. Budgeting and Bookkeeping are two important terminologies which can be used in order to maintain the order of balance in a company’s accounting department. The two terms are interrelated and useful in the cloud of accounting & finance. Budgeting proves to be a wonderful aid in promotion of a smooth and successful business.